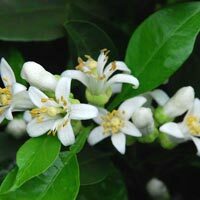 Tunisian Neroli – Essex County Naturals. Tunisian Neroli age prevention based formula helps promote a more youthful look and texture to the skin around the face and eye area by diminishing wrinkle lines and under eye circles, stimulating and improving skin cell health and instantly softening and brightening the skin texture. Also provides long lasting anti-oxidant protection against daily pollution.